Kairali Hospitality is pleased to announce the launch new website to connect with customer and provide them online information. The website with new added functionality aims again to exceed its expectations from the organization’s long standing relationships with its clients & visitors. Over the last so many Years the business has built an unrivaled reputation for consistently delivering an exceptional service in the ancient and traditional Ayurvedic healing. Now the management has took the decision to form a new platform to give extra benefits to their clients. 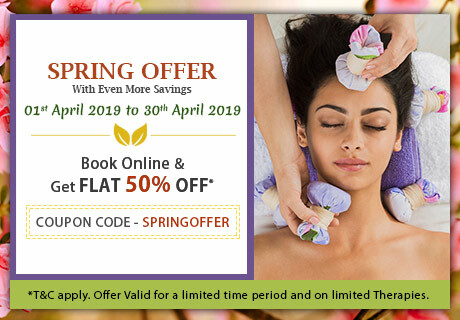 The website is launched for their health resort situated at Palakkad Kerala, Kairali – The Ayurvedic Healing Village and that has search facility for all type of accommodations, treatments, services packages, tariff plan and online consultation provided their plus a brand new online database system that allows the company to track client’s bookings, contact management and much more. Here visitors can get information about the Kerala (INDIA), destination and many famous places of Palakkad with their history and pictures, also visitors can know about the festivals, cultural events and traditions of Kerala. They can find out all the related information about our resort ‘Kairali – The Ayurvedic Healing Village’. We have provided with an online booking facility. Viewers can get the information about all the latest discounts & offers. They can know much about Ayurveda and its benefits. They can see all services and packages provided at the resort. They also have provided map view and all information to guide their visitors. All their latest news and activities can also be viewed from here. Free online medical consultation, here visitors can consult with our doctors about their diseases. An Inquiry form for resorts inquiry, visitor’s response and feedback. Ayurvedic Healing Village launched for customers convenience to facilate with online reservation service, information about ancient Ayurvedic healing, online consultation with doctors and information about the festivals, cultural events and traditions of Kerala.